We’re almost two weeks into the new year and we can tell that 2016 is going to be a big one for Fierce Kaiju and VR in general. We recently saw the pre orders for Oculus Rift open along with the announcement of the release date and price. It looks like an incredibly exciting piece of kit, find out if your PC meets the recommended specification using the Oculus Compatibility Tool. We should know similar details surrounding the HTC Vive in February and we’re eagerly awaiting news from PlayStation. In short 2016 is the year that VR hits the mainstream. But what have we got planned? Well we have some very exciting plans for 2016, one of those we have to keep under our hats but when the news of Fierce Kaiju Secret Project 231163 hits, it’s going to be big. The other we’re able to disclose a tiny bit of information about. The first Viral game was fully released on Gear VR early in 2015, the demo went live back in November 2014 for those fortunate enough to have the Gear VR Innovator Edition. Viral was really well received and we were very proud and thankful for the feedback we got from our peers, press and players alike. John Carmack recently spent a little time writing his 6th VR critique with Viral being the focus, Ben Kuchera a video game journalist over at Polygon was a big advocate of Viral around launch and we get folk getting in touch via Twitter telling us they love the game, with one of our favorite quotes being “Viral Lite on Gear VR is badass!”. We know that people enjoy the game and we know that we still enjoy playing Viral ourselves (always a good sign) so we believe that this warrants more. Firstly we’ve got a nice update coming along for Viral on Gear VR. This update tidies up a few loose ends and makes for an altogether more slick experience. Secondly we’re very happy to tell you that in 2016 there will be a new Viral game! We dont have much more to say at this stage other than we’re really excited about the game and we cant wait to share more details soon. 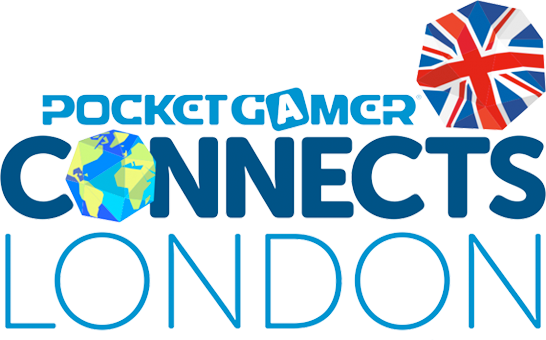 In other news, expect to see more of Fierce Kaiju out and about this year, starting with Pocket Gamer Connects in London on January 18th. Our Art Director (Dan Roberts) and Creative Director (Paul Colls) will be in attendance with Paul featuring on a panel discussing social interaction in VR. Paul is joined on the panel by Dan Gilmore, a friend of ours from the incredible Atomhawk and Tom Beardsmore the CEO of Coatsink, these guys have been doing some great work in VR with the likes of Esper & Esper 2 on Gear VR. The panel is being moderated by Carri Cunliffe the MD and founder of Secret Sauce a well respected PR, events and consultancy company and is scheduled for 16:00 on Monday 18th in Auditorium 2, please come along and have a listen.